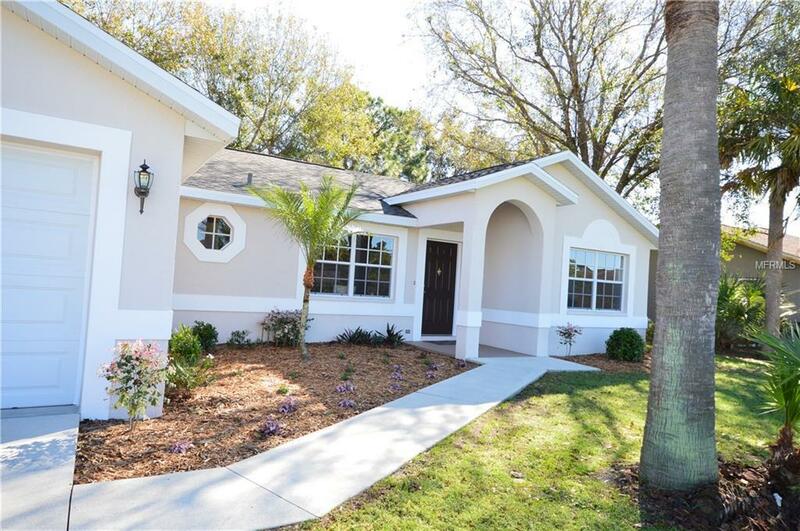 Beautiful Section 15 Port Charlotte home has been painted inside and outside, newly-installed vinyl plank flooring in the living area and per sellers the ROOF, AC and Garage Door and Opener were all replaced in 2017. This split floor plan has an open feel and the screened rear patio is perfect for enjoying the view of the large back yard with fruit trees and mature landscaping. This home has been well cared for by original owners who have the Holiday Builders building sketch and survey. Built-in cabinets and a work bench can be found in the two-car garage. Close to shopping, restaurants and 20 minutes to Charlotte Harbor! A ONE year home warranty is included for peace of mind.